Our product range includes a wide range of stainless steel screw pumps, single screw pump, sanitary screw pumps, progressive cavity screw pumps and positive displacement screw pumps. delivery pressure Up to 6 bar. We are the leading Manufacturer and Exporter of Stainless Steel Screw Pumps and our product is made of good quality. 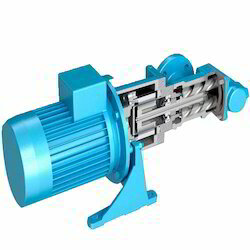 Chemech Engineering based at Mumbai is one of the leading ISO 9001-2000 Company manufacturing positive displacement reciprocating and rotary pumps. Stainless Steel Screw Pumps are progressive cavity type (Screw) pumps. 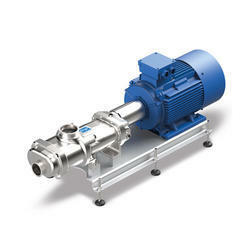 “Screw” Pumps gives steady flow without pulsations, with minimum turbulence. “Screw” pumps are simple in design and easy for maintenance. 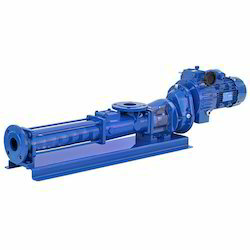 Our pumps are best suitable for Effluent Treatment & Water Treatment Chemicals & Slurries. 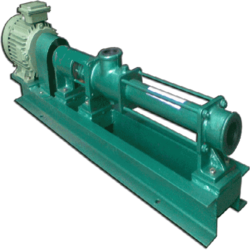 We are the leading Manufacturer and Exporter of Single Screw Pump and our product is made of good quality. Available at highly affordable rates in various size and capacity. These are made using high grades of raw material and are offered at industry leading prices. We meet the bulk demand of our clients within the committed time frame. 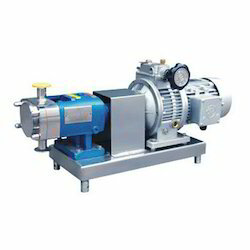 We are the leading Manufacturer and Exporter of Sanitary Screw Pumps and our product is made of good quality. We are the leading Manufacturer and Exporter of Progressive Cavity Screw Pumps and our product is made of good quality. We are the leading Manufacturer and Exporter of Positive Displacement Screw Pumps and our product is made of good quality. These pumps are easy in operating and make repairs. These pumps are fabricated using advanced technology and highly cherished by the customers for their features. We manufacture and export positive displacement screw pumps to the customers in a vast range.